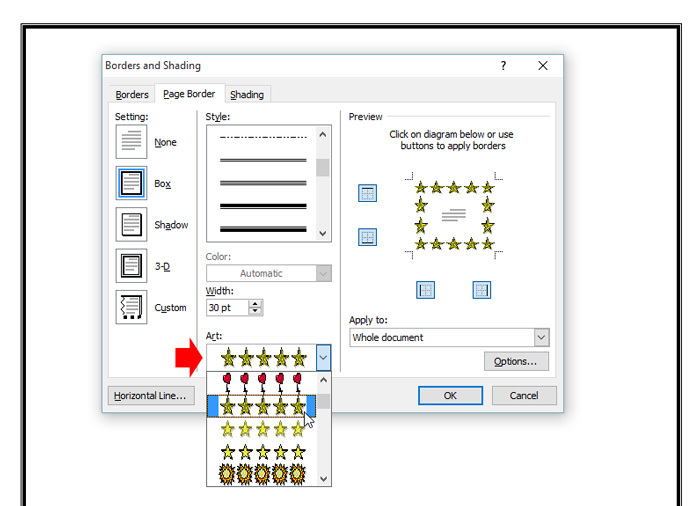 Adding page borders in Microsoft Word document are easy, you can do it in a few clicks and we will show to you in this tutorial how you can easily add borders. To add page borders perform the following steps. 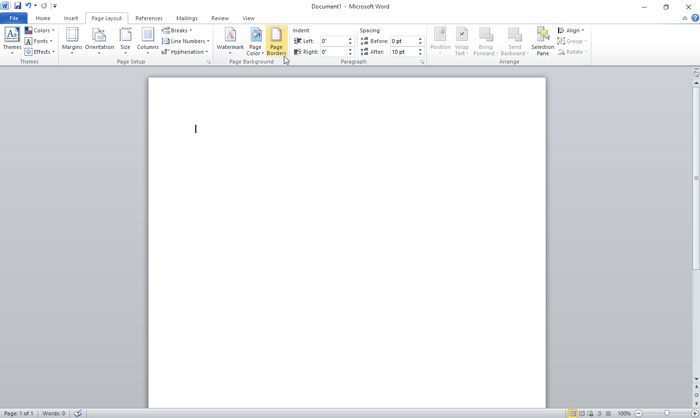 We will use MS Word 2010 in the screenshot, there’s no difference if you’re using word 2007. While your document is open, select “Page Setup” tab in the ribbon, then select “Page Borders” in page background section. Borders and shading popup window will appear, in this window you can control the appearance of the border that you want to add. 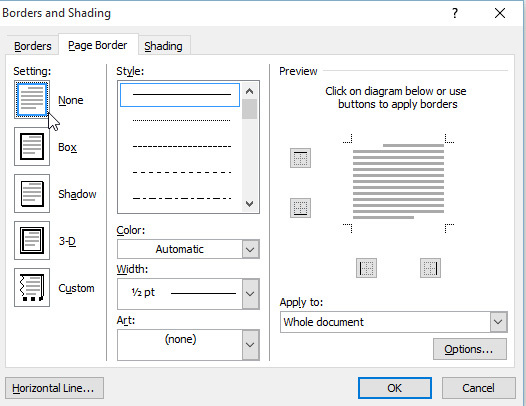 In the left part of the window, you will see the setting of the border, you can select from Box, Shadow, 3D and Custom, the default is none or no border, to add a simple border around the document select “Box”. Select the style in the style section and on the right side you will see the preview, click the border in the preview to remove and click again to return. Select where you want to apply, by default it will apply to the whole document. If you want to add a different border, there’s a collection of border art that you can select in the art section, see the screenshot. 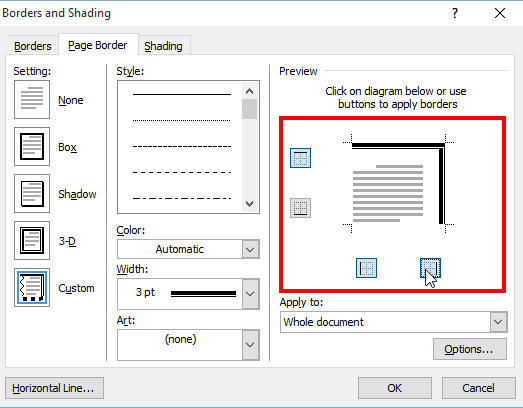 Removing the border in the document is very easy, Go to page borders, under the Page Layout tab, the same procedure when you add the border, just select “None” in the settings section. 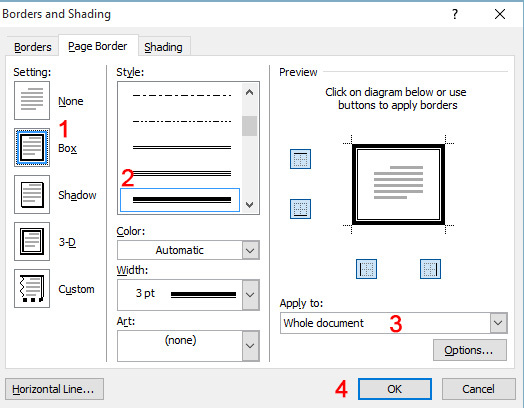 If you want to remove the border in specific side of the document, head on the preview section of borders and shading screen, then select which side of the document you want the border to appear. I like it very much ….